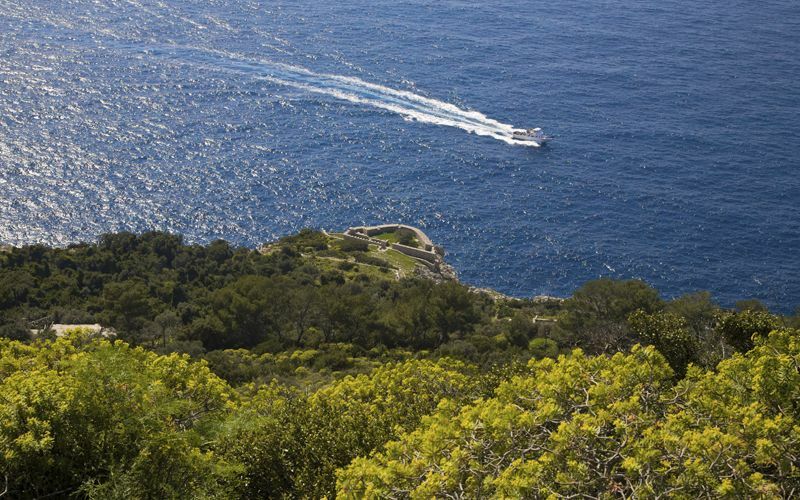 One of the most spectacular walks on the island of Capri, the Sentiero dei Fortini hugs the coastline of Anacapri all the way from the Grotta Azzurra to Punta Carena. The route, scattered with rocky masses, sculpted promontories, and bays as deep as fiords, has been recently repaired, as have the three blockhouses which are united by the path. 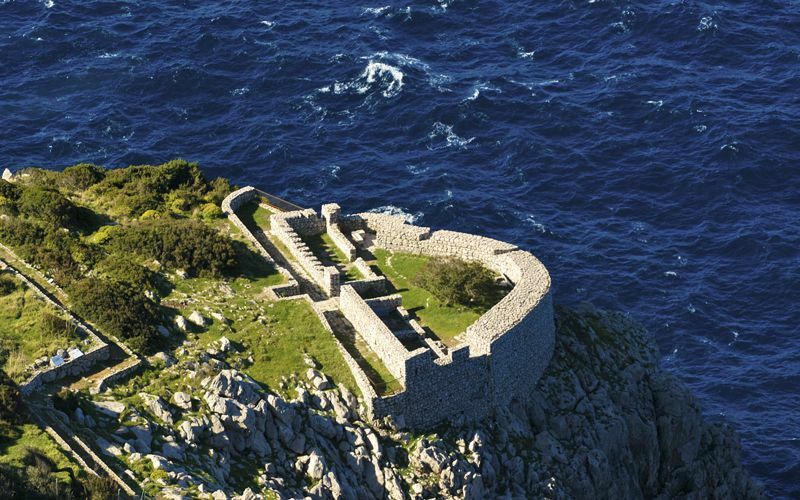 The Orrico, Mesola and Pino blockhouses were built by the British in 1806 and amplified by the French, after the battle of Orrico (known locally as "La Presa di Capri") in 1808. 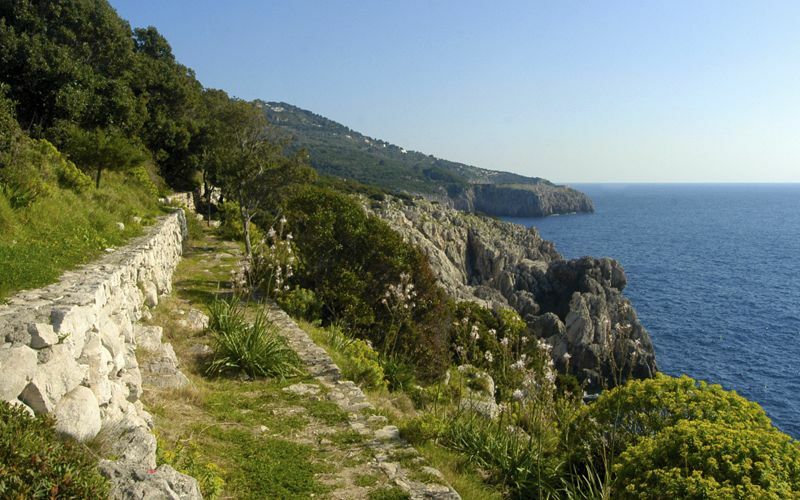 Whether you start the walk close to the Grotta Azzurra or at Punta Carena, there are signs indicating the path along the way. It will take you around 3 hours to complete the walk, so make sure you bring a supply of water and avoid the hottest hours of the day (the sun is particularly strong on this side of the island!). 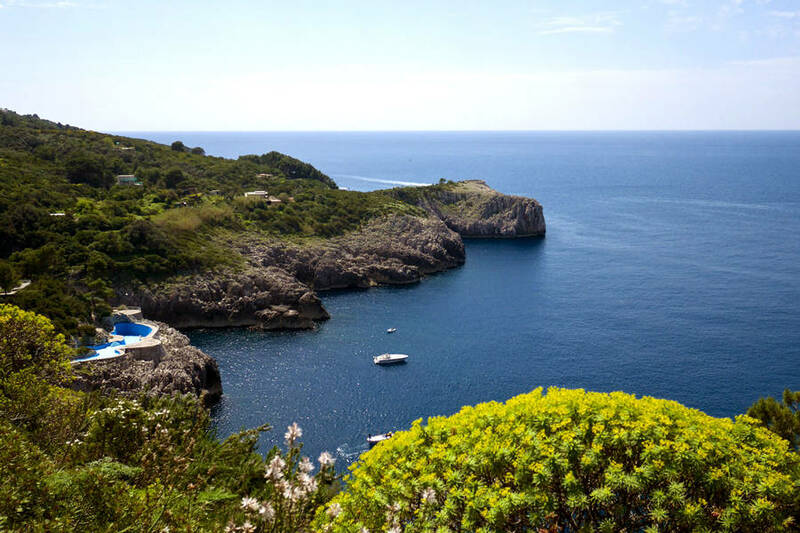 Start the walk at the Grotta Azzurra and, when you arrive at Punta Carena, treat yourself to a refreshing dip in the sea beneath the lighthouse (don't forget to bring your swimming costume!). 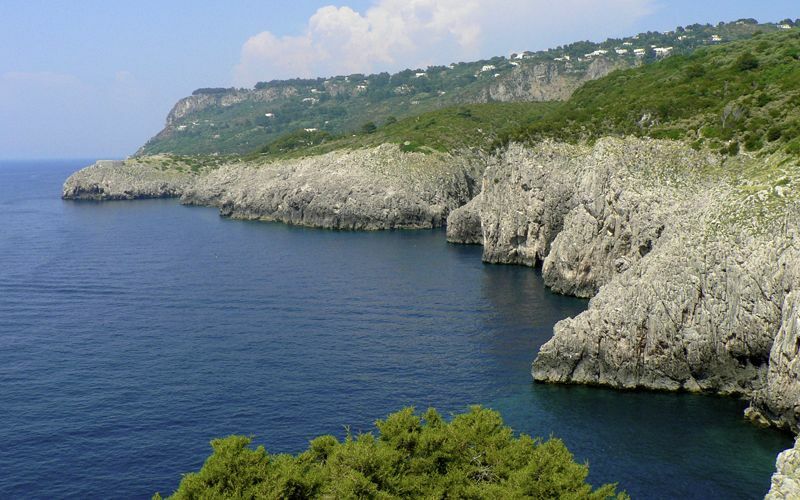 Take the bus from Anacapri to the Grotta Azzurra (ask the driver to let you off at the "Punta Arciera" stop). 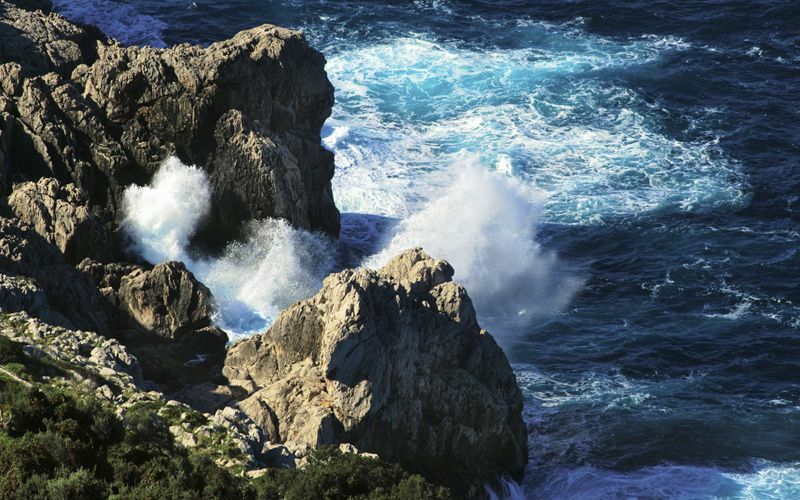 Take the bus from Anacapri to the Faro (ask the driver to let you off at the Pino stop). The Orrico fort is situated roughly 30 meters above sea level on the Punta del Miglio, and has a semicircular structure with a diameter of approximately 20 meters. The fort is circa three hundred meters away from the Grotta Azzurra. 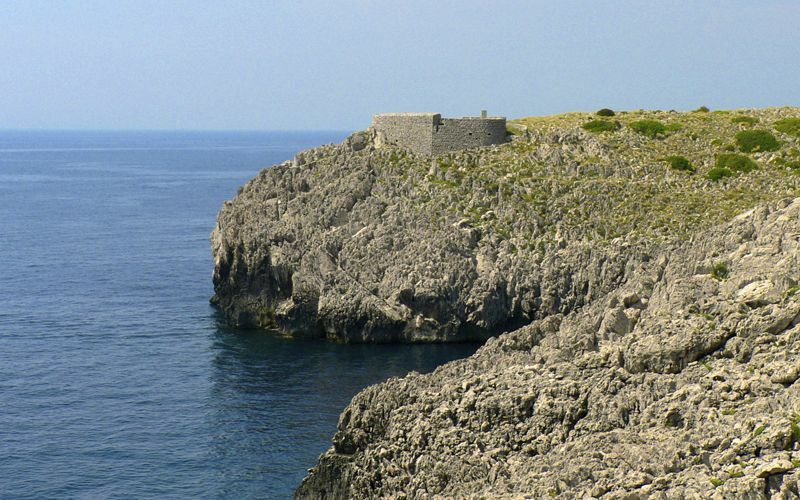 Within its two meter thick walls there were once two canons directed to the south west and north west positioned so that the fire would cross with that of the Campetiello and Pino forts, creating a barrier against any vessel attempting to approach the island. Mesola fort rests on the promontory of Campetiello, named after the De Campetiello family who owned it. Mesola fort is a circular structure with thick walls in which two cannons were positioned so as to defend the coast. Traces of primitive man have been found in the area, namely small utensils made of bone; in the Greek and Roman eras there would have been a landing stage here, indeed, the remains of an ancient flight of steps can still be seen in the rock face. 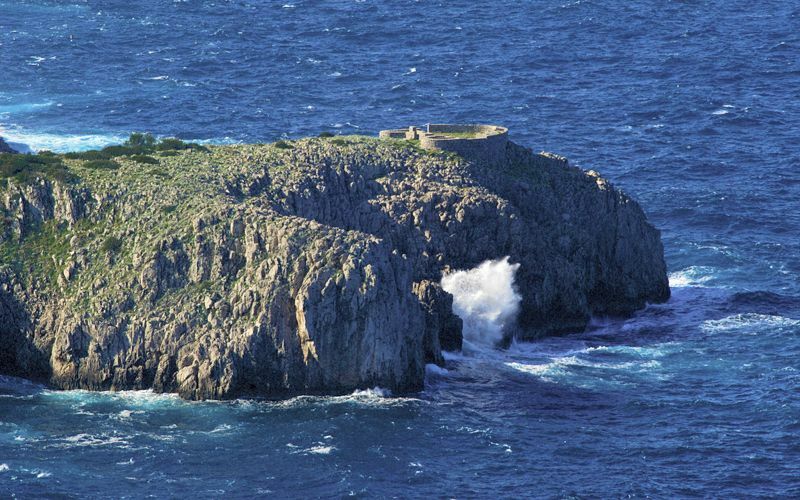 The Pino Fort is the closest to the light house of Punta Carena. The circular building is positioned 40 meters above sea level. The structure has an external diameter of 60 meters, whilst the interior is rectangular. 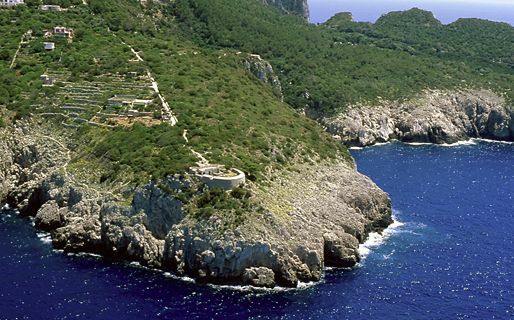 The fort was used to control Cala di Mezzo to the North and Cala di Limmo to the South.